Genetically Modified Organism is a term that describes a plant (or animal) engineered through a technique called gene splicing. Gene splicing combines differing DNA to produce a variety that cannot be produced in nature or by traditional crossbreeding techniques for the purpose of increasing yield, resistance to drought or insects, improved nutrition, or some other perceived benefit. The one ominous success of GMO’s has been in resistance to insects. Unfortunately this is achieved by making the plant itself deadly to insects. 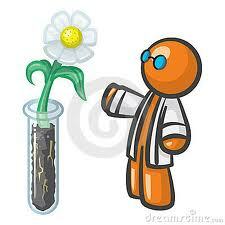 We have to wonder, if the plant is deadly to insects, what danger if any does it present to human health? There is growing evidence that there is a threat to human health. Enough so that nearly 50 nations, including the European Union, Japan, and Australia either severely restrict or ban altogether the production or sale of GMO’s. The US allows GMO’s based on reports filed by the same companies that profit from their use. Unfortunately, according to Non GMO Project.org, GMO’s are in about 80% of processed foods sold in America in varying amounts. There is currently no FDA regulation requiring the processor to warn the consumer of the use of GMO’s in their product. There is also no statistical evidence yet to give us an idea as to what the risks are. If you want to be sure that what you are feeding your family is safe, my recommendation is to buy produce from farmers that do not use GMO’s and then can or freeze them for use in winter.